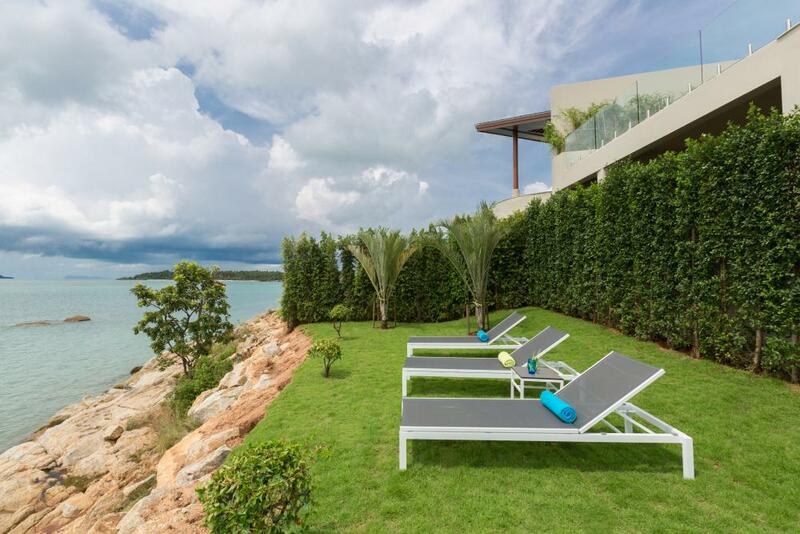 Villa 4494 embraces the beauty of its waterfront location on Koh Samui’s Plai Laem Peninsula, affording complete privacy amidst contemporary coastal luxury. 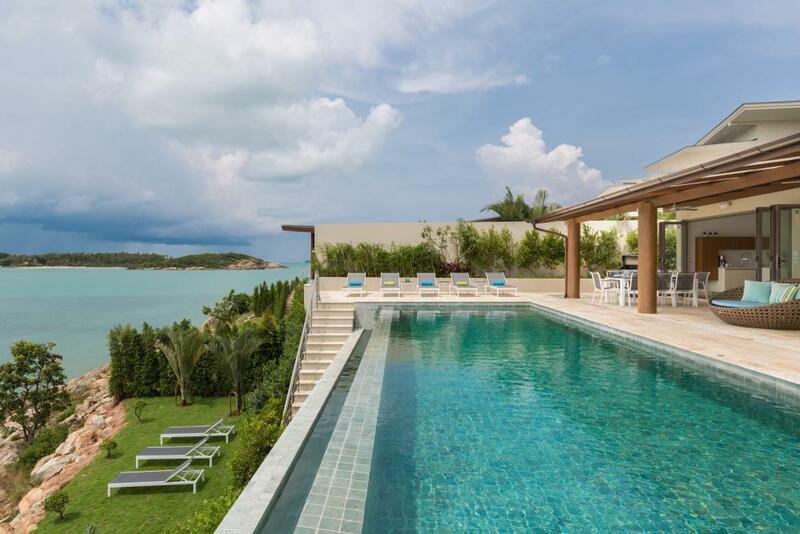 Far-reaching views across to neighbouring bays and islands with breathtaking sunset vistas envelop the villa. Immersing guests into the island life canvas of this north eastern shore hideaway and its simply stunning sea front location. 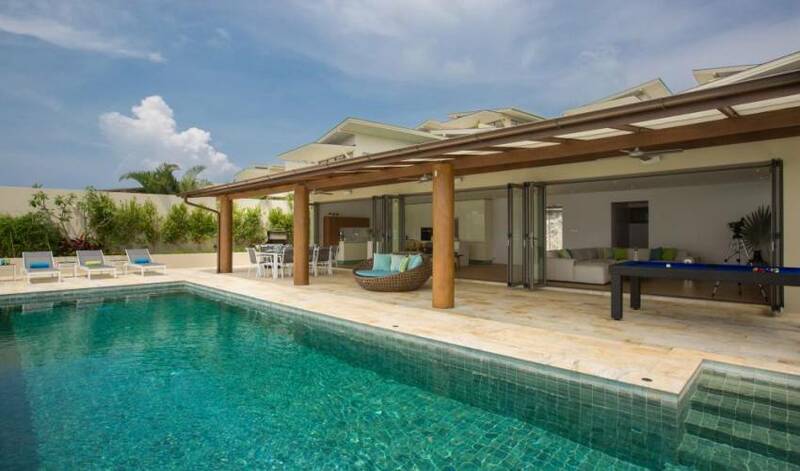 The Villa quite simply offers that winning combination for those seeking a modern tropical sanctuary, in a breathtaking seafront location, with attentive and discreet staff. 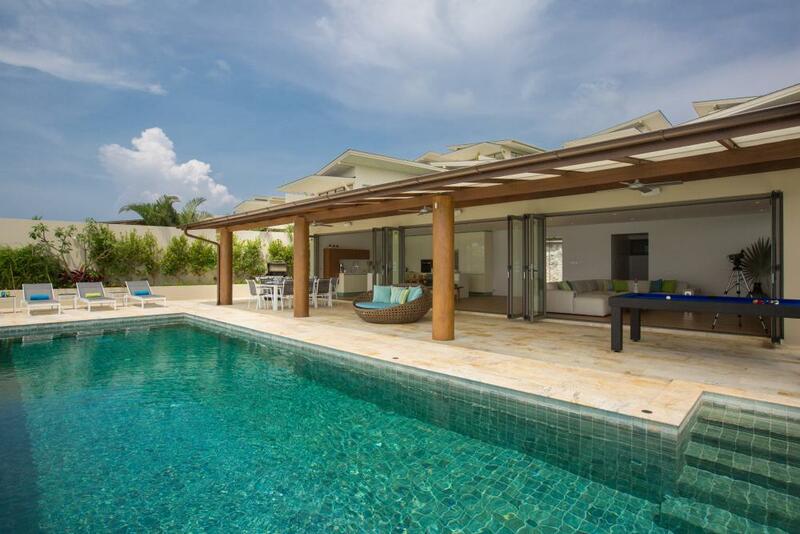 Shared spaces have been created with great attention to guest’s desires ensuring total enjoyment of the villa. The open plan living area is designed with a feel for easy waterfront living, offering an abundance of space, light and of course uninterrupted sea views. 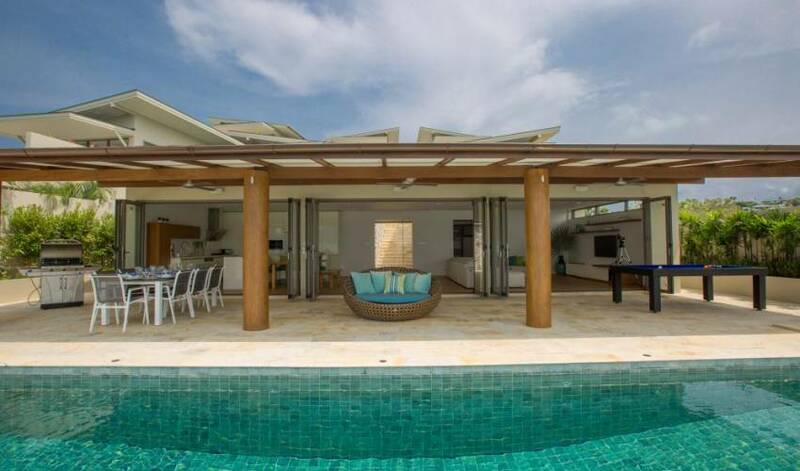 The living elements combine to offer a comfortable tropical lifestyle with sumptuous sofa seating, Bose surround sound speaker system, Smart TV offering worldwide TV channels and a Slate bed pool table, all to enhance guests enjoyment. 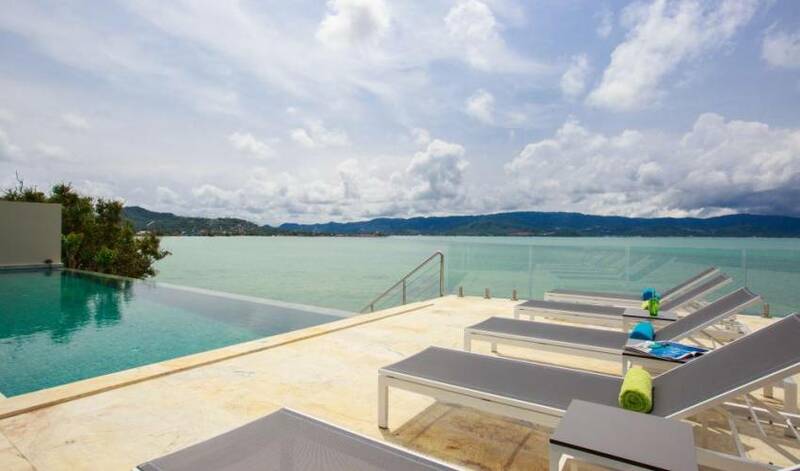 The pool deck is blessed with all day sun and 8 loungers for each guest, bathed in the beauty of the pool and waterfront views. 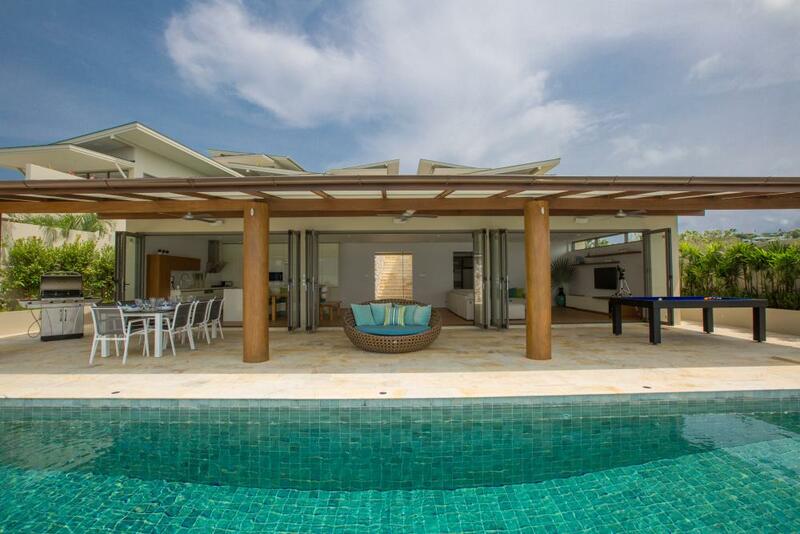 The Balinese stone infinity edged 17metre swimming pool effortlessly blends with the azure gulf that laps at the villas feet, tempting guests to take a dip in both. 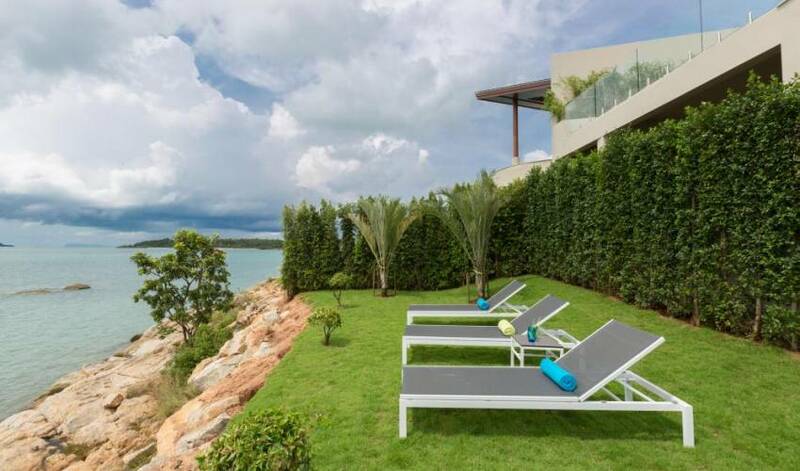 The garden sundeck at the waters edge is a unique location with incredible views across the sea from this unusual viewpoint. 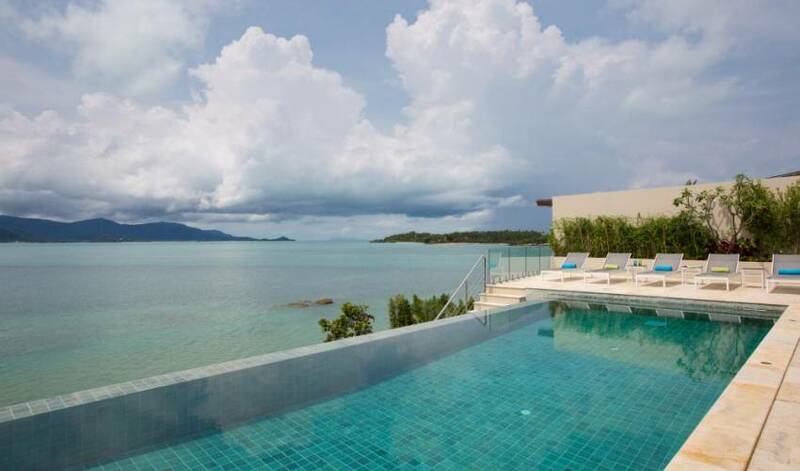 The natural rock formations offers guests steps to take a refreshing plunge in the sea or perhaps a kayak off to the neighbouring island of Koh Som. 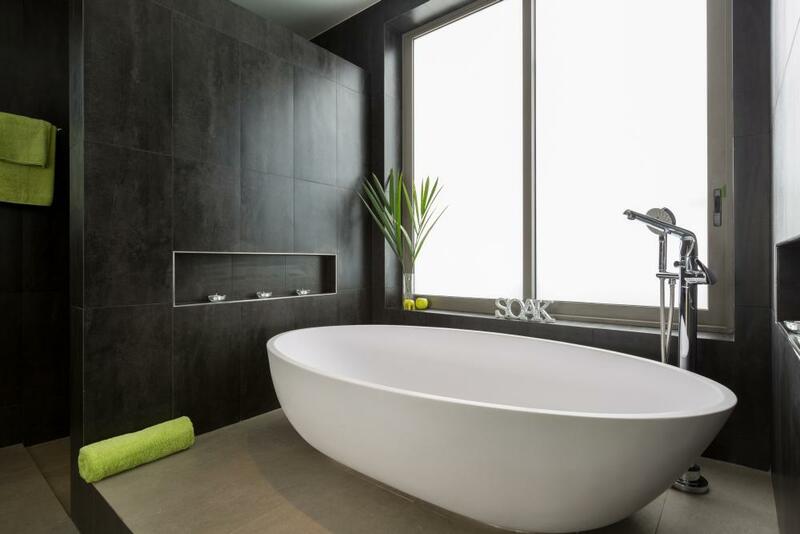 Four well-appointed double Master bedrooms have been designed over two levels, with fresh contemporary style. 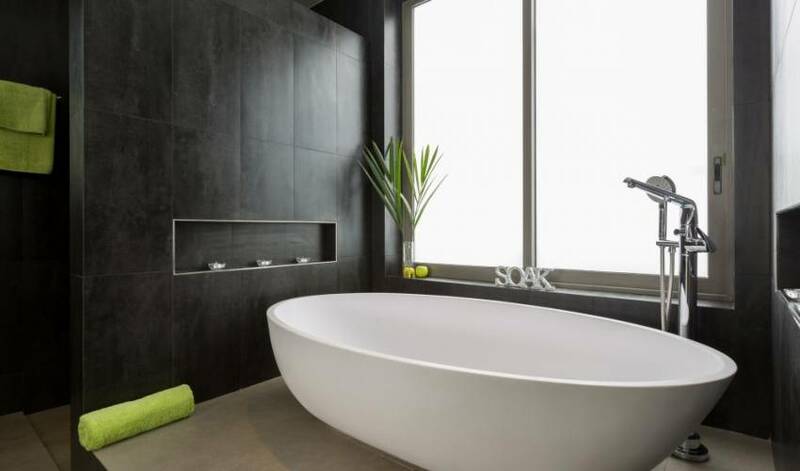 Each bedroom also features highly appointed en-suite bathrooms with lovers pod baths and rain showers. The private bedroom terraces with table for two and reclining lounger are a nice retreat for guests at any time of day. Equipped with their own AV and Smart TV systems with access to over 400 hundred movies, worldwide TV channels, and high speed internet. A contemporary study is incorporated into the bedroom design, ideally positioned with the sea and surrounding bays as backdrop for inspiration and a relaxing working atmosphere. 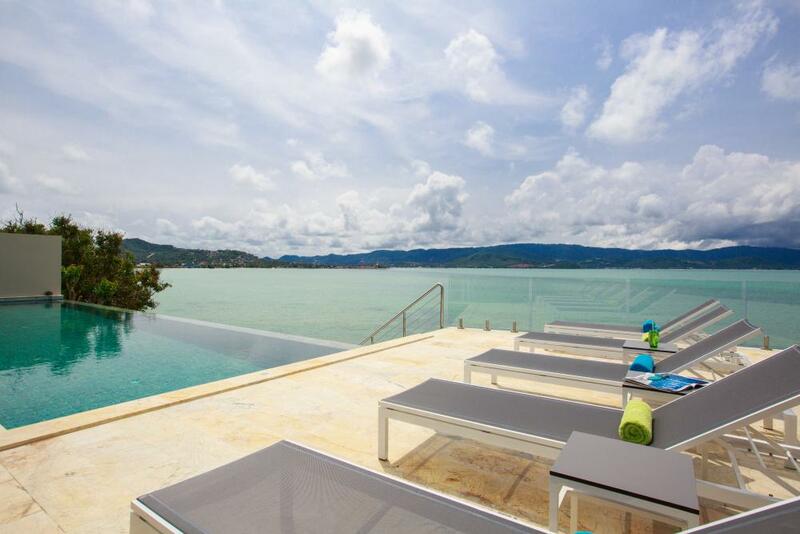 Villa 4494 is situated on one of Samui’s prime real estate locations in Plai Laem. 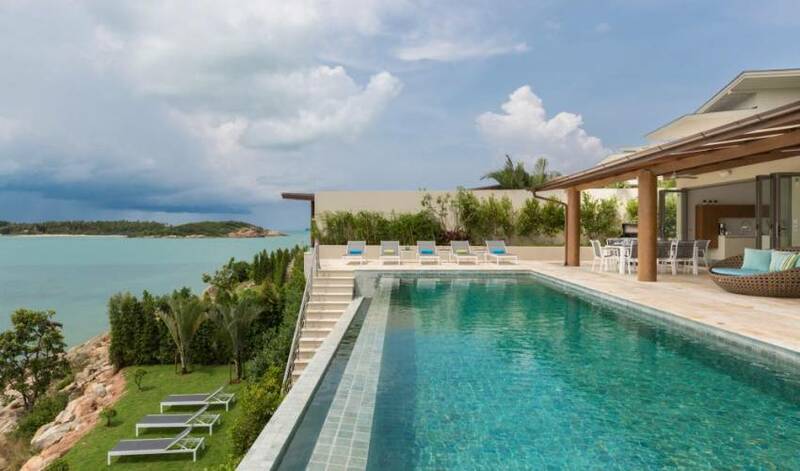 With 5 star resorts like Six Senses and Thong Sai Bay in the immediate neighborhood, the villas locale offers nothing less than exclusive luxury living. 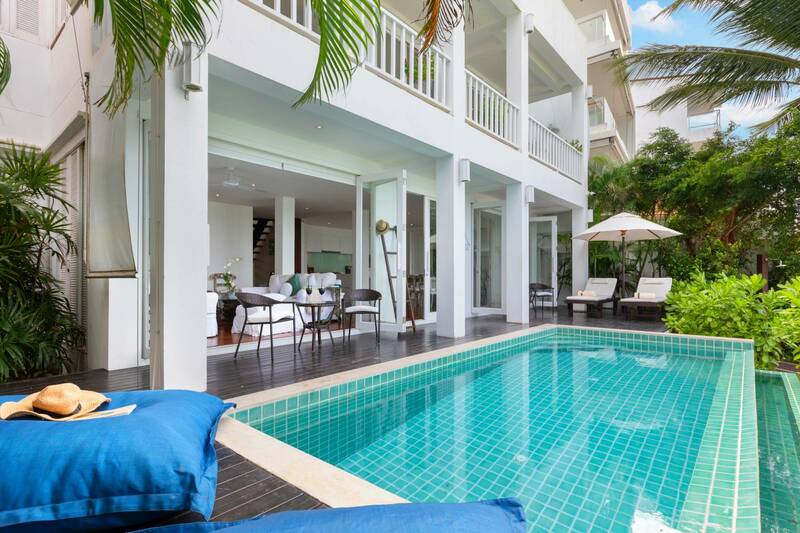 Ideally located a short 15-minute drive from the airport with Chong Mon, Chaweng, Big Buddha and Bophut also in close proximity. 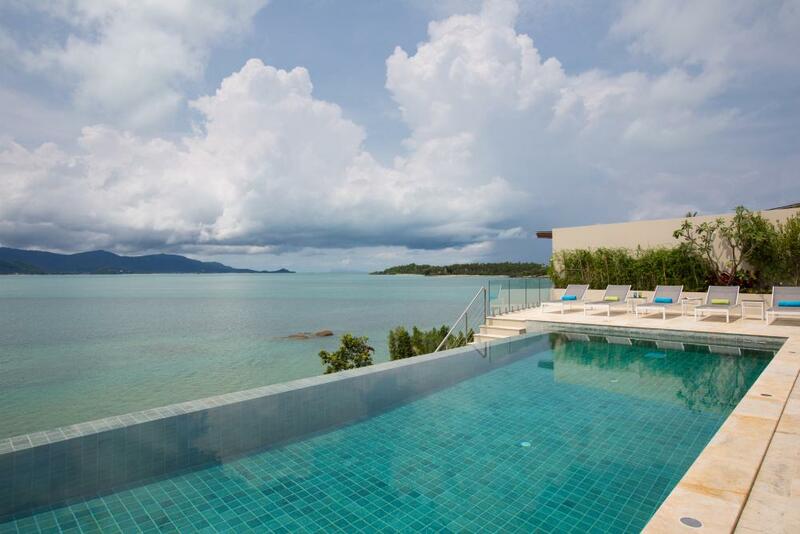 Exploring Samui from this idyllic Peninsula couldn’t be easier. 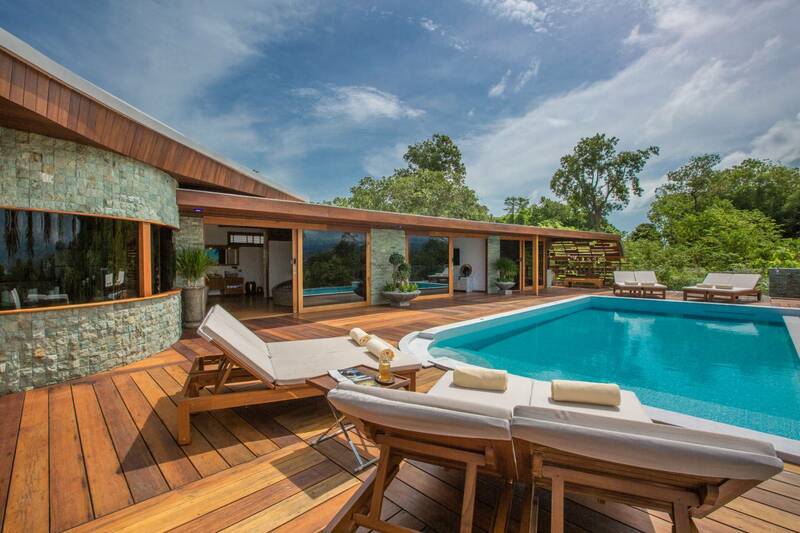 The staff at the villa offer a discreet yet attentive service. Should guests desire some pampering, cocktails at sunset from the in house menu, followed by mouthwatering Thai treats from the delicious in house chef service, can be arranged with ease. All essential ingredients of the Villa service experience.